A guide to earning more revenue and profit. Grow your billing business with these tips! There are lots of ways you can generate more revenue if you're running your own medical billing and coding business. Looking to expand? 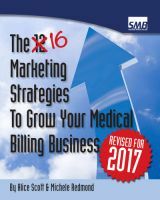 We recommend the ebook 12 Marketing Strategies to Grow Your Medical Billing Business. It's a guide to effectively marketing and growing your business, written by a mother/daughter team of billers. Learn more about it here. 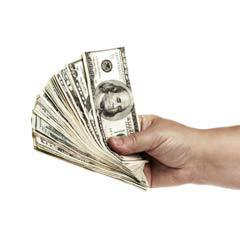 Cash enters your business through payments, and leaves when you pay for business expenses. In order to maximize your cash flow you'll need to understand exactly how much cash is going in and out at any given time. If you aren't generating enough cash, or have just enough coming in to break even, you have a problem. Ask yourself about the sources of your cash and their quality, as well as their longevity. Make a thorough examination of your cash flow and you should find some potential areas for growth. Another option to consider is investment of outside capital. This can come in several forms. You might qualify for a small business loan, or you could find someone willing to invest. Investors provide an immediate influx of capital, but you'll be required to repay at some point. If you're interested in expanding through investment, look at all your business's hard assets and ascribe appropriate financial values to them. Once you've learned the full value of your current business, you need to decide how you want to expand. It could be that you can now get new medical billing and coding software equipped to handle more clients. Or it could mean hiring additional employees to expand the range of tasks your business can handle. After you've decided how you wish to grow, create a proposal outlining your current assets and what you would like to expand. How much money can you expect to make through this expansion, and in what time frame? Try to answer this question. This is your return on investment. 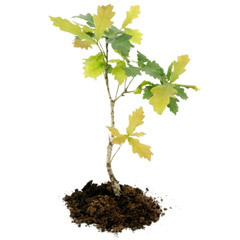 It may seem obvious: every business owner wants to grow their business! But the key is smart growth - growing in a measured way so that you can scale all facets of your business. Do they know other doctors they might be able to refer to you? Do they pay different amounts? Do they need different levels of service? It's important to deeply understand your existing client portfolio. Look at how your client list came into existence. Was cold calling successful for you? Do you have a friend with a lot of contacts in the industry? Identify these aspects of your client relationships and look for ways to increase your list organically. Also look for outside factors that you may want to revisit. Did you get three or four clients at a networking event that you haven't gone back to? Maybe it's time to return! Analyzing and understanding exactly where your revenue comes and goes is the foundation of growing your medical billing coding business. Don't forget to reward yourself after your efforts have succeeded! Related information: Writing a medical billing business plan. We recommend the ebook 12 Marketing Strategies to Grow Your Medical Billing Business if you're interested in learning how to grow your business.